Drone footage of thousands of glowing lanterns flying across screen. 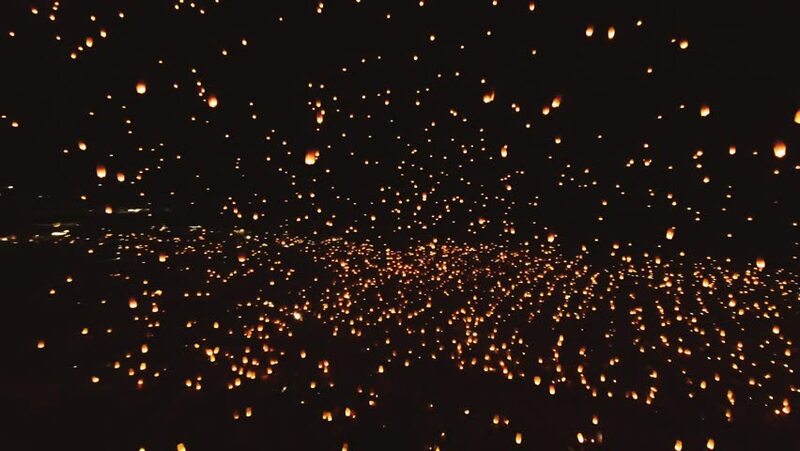 Beautiful floating lanterns light the night sky as thousands of people gather to let their wishes fly. hd00:153d render of animated random balls moving around on black background. hd00:20meteor,particles with tail swing,tech dots array.